Search Engine Optimization (SEO) is a critical part of any internet marketing strategy. Although there are significant benefits to be had from properly executed SEO, improper SEO tactics can result in serious penalties that will send your website tumbling down the search results. In this article, we tell you about a 4 key ways to look out for [p2p type=”slug” value=”6-critical-seo-mistakes-committed-beginners”]SEO[/p2p] practitioner don’t wind up with nasty Google penalties that hurt your websites traffic and damage your online reputation towards the top of search engines. If you must leverage existing content, make sure to rewrite every last sentence. Even a single copied sentence can potentially result in a penalty. Carefully re-write and re-organize content if you are taking inspiration from a pre-existing source. As we all know that content should always be keyword rich. Filling your web pages with relevant keywords help search engines and users determine the pages value. However, overdoing your [p2p type=”slug” value=”researching-keywords-for-seo-how-to-do-it”]keyword density[/p2p] will result in a penalty. Ensuring that your keywords comprise no more than 5% of your content will keep your page safe from search engine penalties and help maintain their climb up the search ladder. Hiding text behind images or by blending the text color in with the background is an easy way to get your page penalized. These tactics are underhanded and fall directly under the black hat SEO category. Unless you have no desire to elevate your pages results, always avoid hidden text. 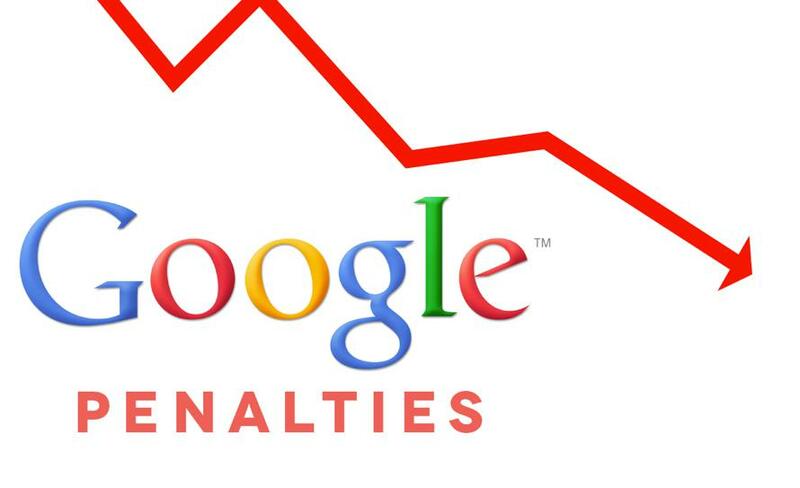 If your site has 10 backlinks on Monday and 10,000 backlinks on Tuesday, it will likely be penalized on Wednesday. [p2p type=”slug” value=”easy-link-building-tips-to-gain-rankings-in-google”]Link building[/p2p] should be a gradual and organic process. Legitimate news events and trends can easily generate this amount of links, but this is where the human element comes in. A sudden influx of links will cause the site in question to get flagged. At this stage, a human we will be brought into the equation to determine the validity of the links. If your links were generated artificially, they will know. To avoid SEO penalties, the above 4 most important things can be used by the SEO practitioner and ensure about their websites to see proper growth towards the top of search result. What do you say about the article; please leave a comment to let us know. Great post and good reminder to every blogger! Thank You! Thanks a lot for such a knowledgeable and nice article.